Another direction I am considering in our new small space is to wrap the floating couch with the CB2 Axis storage unit. Love the style, the additional storage for our things and the anchor that it creates around the floating furniture. 8 Responses to "WRAPPING FLOATING FURNITURE"
Great ideas. Just great. Will keep checking back for more! Just stumbled upon your lovely blog - love it! That table is great. What a great use of space! Looking forward to more ideas! what a cool idea! 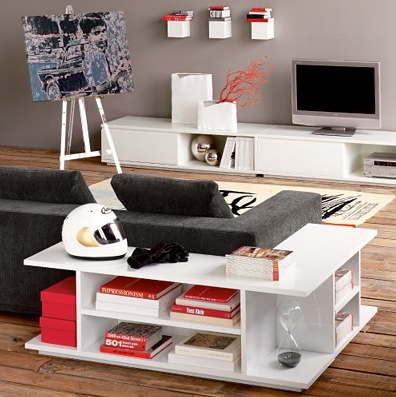 i've never even though of that floating furniture with the framing shelving like that...awesome! I'm dreaming to have a house just like this in the future..